This interchange lies within the Municipality of Iraklio, at the northern terminus of Kymis Avenue. It provides free flow access to Attiki Odos from northern Athens, i.e. from Galatsi, Lamprini, Patissia, as well from the Municipalities of Psychiko, Filothei, N. Ionia, Iraklio, Maroussi and Pefki. 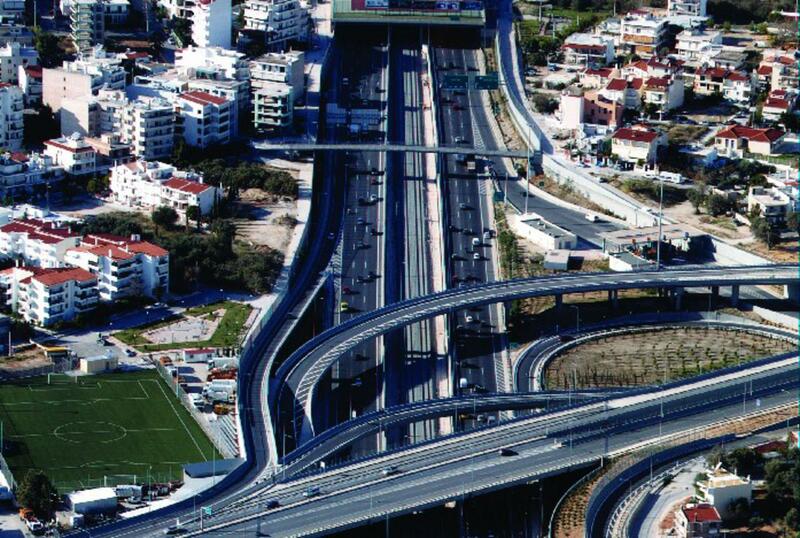 The structures' design and construction allow for a future extension of Kymis Avenue to the north, in order to complete access to the Athens - Lamia Motorway and provide fast access to the Olympic Village in Thrakomacedones.